« Off to New York, New York! 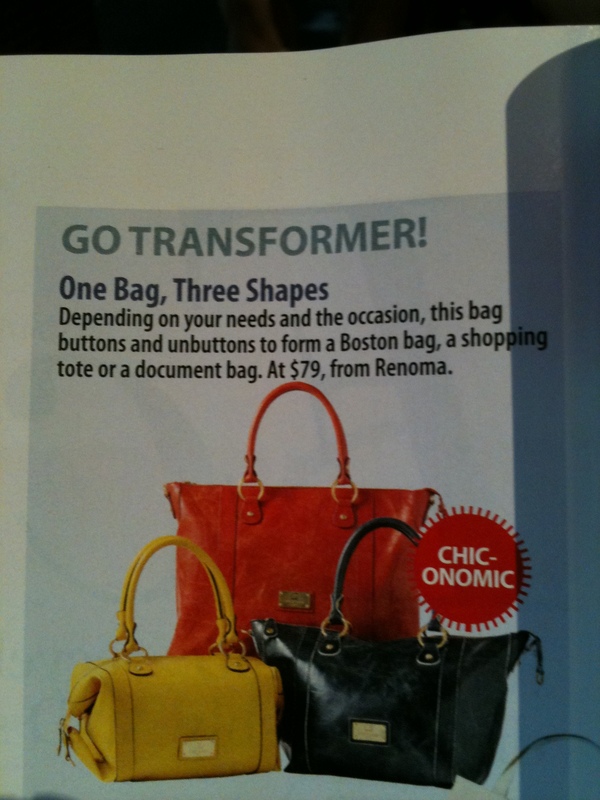 Renoma’s 3 in 1 Bag – A godsent for all ladies! Spotted in Singapore Women’s Weekly June 2010.
orange & black. try a places like takashimaya, bugis they give same reply.